Just after two this afternoon in a crowded courtroom, Justice Troadio Gonzalez handed down a decision in the murder trial of Renan Briceño Junior. Thirty-two year old Briceño had been behind prison bars since the shooting death of Dale Tillett which occurred on December thirty-first 2011 at the Palm Island Night Club in Belize City. 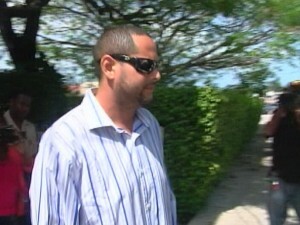 Tillett succumbed to the injuries within days and Briceño was charged with his murder. 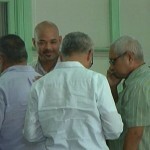 In the course of the trial without jury, a total of sixteen witnesses were called to testify, but the prosecution was unable to prove the murder charge against Briceño and he was freed. 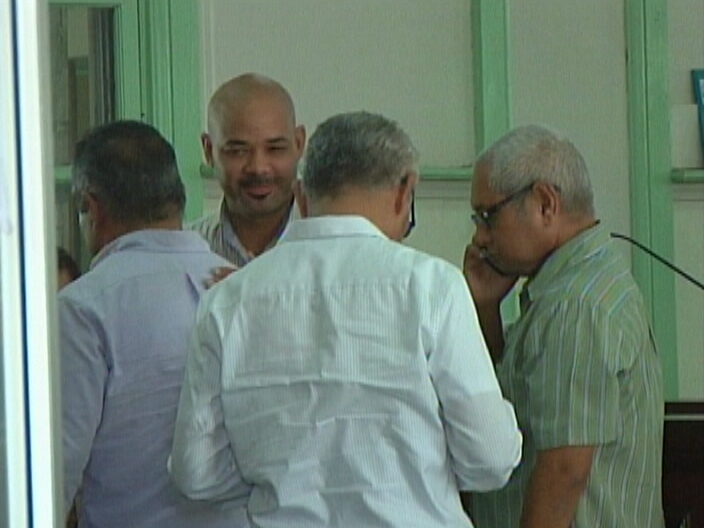 News Five’s Isani Cayetano was in the court and captured the reaction of the two families when Justice Gonzalez handed down his decision. The anguish of a grief-stricken mother whose son’s accused killer has been set free, following a decision handed down by Justice Troadio Gonzalez this afternoon, is squared by the exultation of the suspect’s family. Inside the chamber immediately after a verdict of not guilty was read, relatives of Renan Briceno Jr., including his father and two uncles, breathed a collective sigh of relief, as the ordeal which has seen their loved one on remand for murder since January sixth, 2012 came to an end. 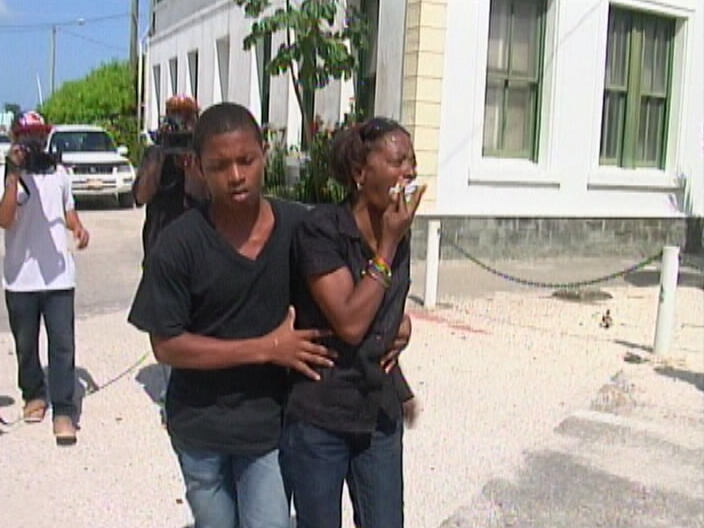 Descending the steps of the Supreme Court building moments later was the devastated mother of Dale Tillett. The nineteen-year-old was gunned down in the parking lot of Palm Island Night Club on December thirty first, 2011 during a melee between feuding parties. In the aftermath of the deadly shooting, Briceno was charged for the homicide and held in pretrial detention until a week ago when the trial without a jury commenced. Prosecutors Shanice Lovell and Porsha Staine made a case implicating Briceno in the fatal attack but were unsuccessful in satisfying the last of four critical factors in the argument; that the former marketing representative was indeed the gunman. While they both relied on a witness statement tendered by Albert ‘Long John’ Fuentes, one of four men killed last year at a residence on George Street, burden of proof was not met. From the dock, Briceno told the court that he had surrendered his licensed nine millimeter handgun to a friend prior to entering the premises. Upon hearing gunshots, Briceno observed Tulio Caceres running and he decided to take cover behind a vehicle. Briceno then retrieved the weapon from Caceres before it was confiscated by police. That sequence of events cannot be refuted since Caceres was executed in similar fashion a month ago. Shortly after two o’clock, the session was called to order and, before a packed courtroom, a decision to release Briceno was delivered. Sounds to me like the prosecution did not do their homework poor prosecutors . That is justice in Belize, shame shame shame. Imagin the witness was murdered a month ago, and i bet you a million bucks he was murdered so he wouldnt be able to speak. To the mother of DALE TILLET…i ask you to pray, pray that God gives you peace. Justice may not have been in your favor but YOU must never forget we cannot escape the justice from our creator. God is watching and he sees your pain. Renan Briceno will pay. I pray that God gives you and your family comfort. Feel for the mother but both she and the grandmother need to come to terms with certain facts. They claim Tillett was not gang-affiliated and yet that night he was in the company of known foot-soldiers. If things had gone the other way it would have been Briceno dead perhaps and his mother crying. Families, stop covering up when these young men do wrong. Tillett was 19 years old, old enough to know right from wrong and to know what kind of company he was keeping. Teach your kids to choose wisely before they end up in the wrong place at the wrong time. Night clubs, night life, very unsafe in Belize City. Hmmm! “Caceres was executed in similar fashion a month ago”. He was an important witness for the prosecution, so he had to be silenced. I have a feeling he is not the last person to be killed in this sordid affair. Renan Briceno got off scott free and so will Dan Silva’s son. Kill a gang member and you know they will kill you back. It is only a matter of time. Even if you sleep with one eye open . . . . . . they will get you Renan. Money and political connection is power in Belize. Anyone who thought this dude would be convicted is either very naïve or very stupid! Hattieville prison and the “Justice system” in the God forsaken country that Belize has become, is designed to punish poor black people!!! Full stop! End of story! This goes to show you that NO MATTER WHAT POLITICAL PARTY you come from with connections you will get a free pass in Belize. The PUP are NO better than the UDP in that respects. This is just a recent example to prove the point. And when the PUP get into power the same will continue for their family, friends and cronies. Just business as usual here. I have a riddle for you, how many men must die to set Briceno free, here is the answer, two Caceres and Fuentes and a useless Judge and of course his name helped. These were murder for hire, dead men do not tell tales. Keep his name in mind, because he will be on a hit list. Minister of Health says he is behind the special audit at the K.H.M.H.